It seems the firmware bugs that were causing issues with Litchi and Hangar / Autopilot have been corrected in the latest firmware releases for the Phantom 4 Pro and the Mavic. 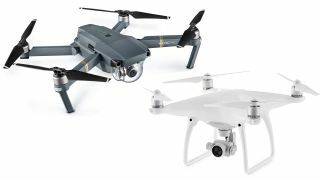 The new DJI firmware updates for Mavic Pro (v01.03.0600) and Phantom 4 Pro (v01.03.0509) fixed the issue introduced in the previous firmware versions which would cause erratic behavior in some of Litchi’s flight modes. All of Litchi’s flight modes are safe to use again with the latest firmware version for the Mavic Pro and Phantom 4 Pro. The issue still exists in the current firmware for the Inspire 2. Hangar hasn’t sent an e-mail update out to customers yet, but the Autopilot page on their web site announces that with the firmware updates mentioned above in Litchi’s e-mail, the Autopilot product is also safe to use in all modes once again. I’ve yet to install the new firmware and give it a go with Litchi or Autopilot, but weather permitting, I’ll do that this weekend. Fingers crossed!